Feathered friends can offer so much enjoyment to those who love the sights and sounds of backyard birds. But, during the winter, birds can use a little help as they seek food and shelter. 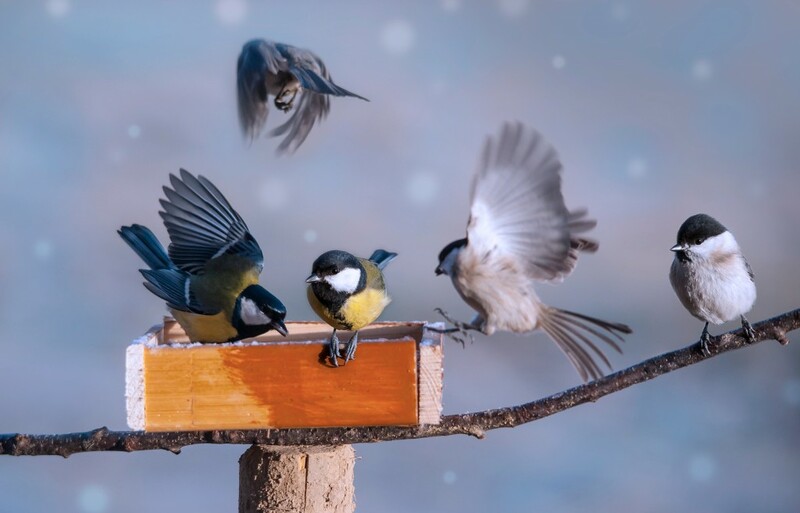 While nature provides protected places in dense vegetation or evergreen branches, many birds flock to the security of cozy, winter roosting boxes. You can create one with the tips offered in this article from the National Wildlife Association. Birds also need high-quality food during the winter. Foods rich in fat and calories can help them combat low temperatures and severe storms. Fruit, cracked corn and mealworms are a few of their favorites. Learn how you can help the little ones out with these feeding tips from the National Wildlife Federation. With a little warmth and a full belly, your bird buddies will be enjoying their home, sweet, home as much as you enjoy yours. This entry was posted on Wednesday, February 6th, 2019 at 2:00 pm and is filed under Food and Drink. You can follow any responses to this entry through the RSS 2.0 feed. You can leave a response, or trackback from your own site.